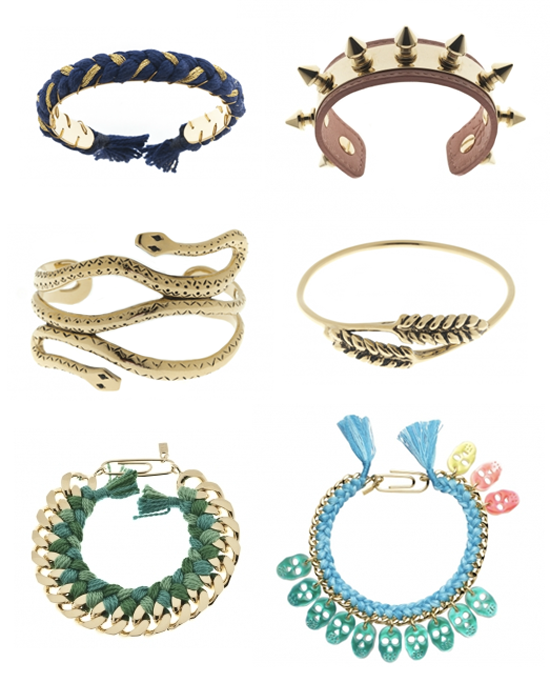 Jewelry that fits any personality: bracelets by Aurelie Bidermann. These are great, I love the pastel skulls! The snake and skull bracelets are awesome! Love the colors of it all. the snake one is awesome! Neat jewelery! It's very unique!